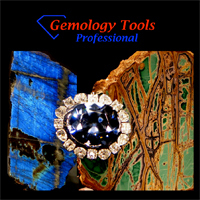 GemologyOnline.com • View topic - Where are the high-end traditional faceting designs? Where are the high-end traditional faceting designs? The simple ones look great! I haven't looked that deep into the catalogs by Jeff Graham, but it sounds like I should have. Not sure if this belongs on a thread about traditional cut designs - unless 'traditional' is taken to mean 'primitive'... or something. It is quite impressive - to me, and anyone who is similarly neither very conversant with optics or a gem cutter - how lively these simple objects are. AGTA doesn't seem to give much credit to cut models that economise on cutting time (although, there were some terrific sugar loaf cabs on the winning list lately). That looks exactly (or close) to Jeff Grahams 'tic tac' design. Do you know the name of that cut? It looks a lot like a new diamond cut that was being heavily promoted in Germany when I visited last year. If I recall the source for it is Idar-Oberstein. 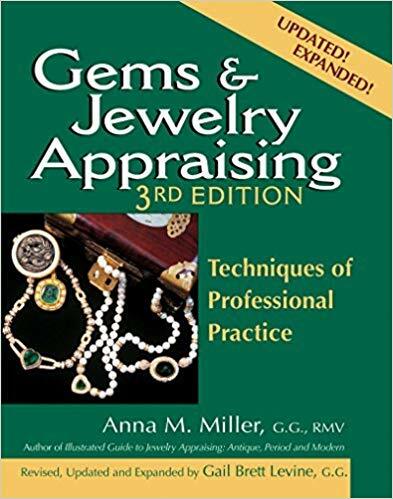 "The Context was researched and developed in the early 1980s by Dr. Freiesleben, based on a patented design from the early 1960s by master gem designer Bernd Munsteiner. It is a square shape with a girdle and two culets. When viewed from the top, the stone exhibits a four-point, star-shaped, diagonal cross. The cross illusion is created with eight facets on each side. The light refraction from the facets creates a mirrored optical phenomenon. The overall shape is that of a pyramid above and a pyramid below, with their flat sides joined, nuking the cut as close to the natural shape of an octahedron as a cut diamond can be. It is distinguished from other fancies because of its simplicity and uniqueness." Maine Tourmaline! Second to none. Yes, that's it -- the Context cut. Julius Petsch of I.O. cuts color in the same manner; I found one of his brochures that discusses it. Munsteiner has really been a creative force in colored stone design. The fellow who taught me faceting (Matt) is one of the winners you talk about, both Spectrum and Gemmies. His stones have been on the covers oc Colored Stone, Lapidary Journal and others. Vernon about 10 years ago Really cool dude! Anyway, RocketGems, if I've read your question right, I feel like I've been searching for the same thing for a few years now. I have a lot of respect for what native cutters can do, and what they probably *could* do if they weren't being paid pennies per stone. The reality is that you CAN cut "native"-looking stones with proper angles and get good results. Don't listen to the nay-sayers! heheh. To prove my point, here are a few ovals I've cut with portuguese style pavilions. An important note--the culets of these ovals don't meet in a point, they meet in a keel. Dunno if that matters to you or not. I also don't cut them meetpoint--I grind an oval preform first, mark a line for the girdle and cut my pavilion facets to the line. I don't have a gemcad file to offer you, but here's what I do in Quartz, for an example. Then for the crown, just find any oval crown you like, make sure the L/W matches your preform (scale it in gemcad if you need to), and cut it in. This works for me every time with perfect meetpoints. As an alternative, if you really want a culet that meets in a point, open an SRB in gemcad, give it a 3-tiered portuguese pavilion, then stretch the L/W into an oval. Boom. There you go. I've tried cutting two ovals so far with step cut pavilions and I haven't liked the results. Dunno, just seems like the light bounces everywhere but where you want it to, heh. Throw off your meetpoint shackles, comrades! You can cut native style cuts without sacrificing quality!!! Post subject: Re: Where are the high-end traditional faceting designs? I have been looking at native cut stones for some time now. Virtually all nice spinels, sapphires and rubies are native cut. They not only have obviously great return but good performance as well. I am talking about high end stones, not the cheap windowed things you see for $10/carat. Very little of this rough makes it to the custom cutters and I am not so sure that they do all that much better of a job when it does. There are distinct exceptions, of course, on both sides. Allen, As a jeweller I have to say that even the high end native cut Spinels, Sapphires and Rubies are quite poorly cut. That`s my problem since I`ve seen precision cut stones I don`t really want to design with native cuts in special jewellery...but as we said before the best cutters hardly ever get the best rough in these three varieties. When I look at stones I always get the big ? "Is it still gonna be cost efficient to have it recut?" It's good when newbies stir things up. 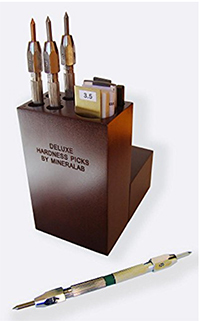 The links for the stones that you posted illustrate well the thoughts that goes in efficient design, realistic cutting time and good skills of gem cutters. Personally I can sympatize with Rocketgems view on beauty. Sometimes I find native cuts showing a mellow, almost ethereal quality that enhance the colour much better than modern stones, where it sometimes is lost to the sight for all the glarish brilliancy and nervous scintillation! The velvety sheen is probably due to poor polish and the slow scintillation due to the bellied pavillions, but still, the stones are beautiful. This is a highly subjective matter of course. If it sounds good, then say it again! Just last night I stumbled across a CD my dad had given me years ago that contained a whole library of gemcad files, including some which are *exactly* some of the traditional, "native-cut" designs we've all seen. When I have some time to go through them I'll post a couple.